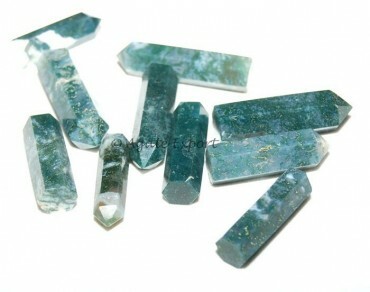 Moss Agate Pencil Point is available on Agate Export in size ranging from 25-30mm. moss agate is known for its nurturing property. It helps in growth.